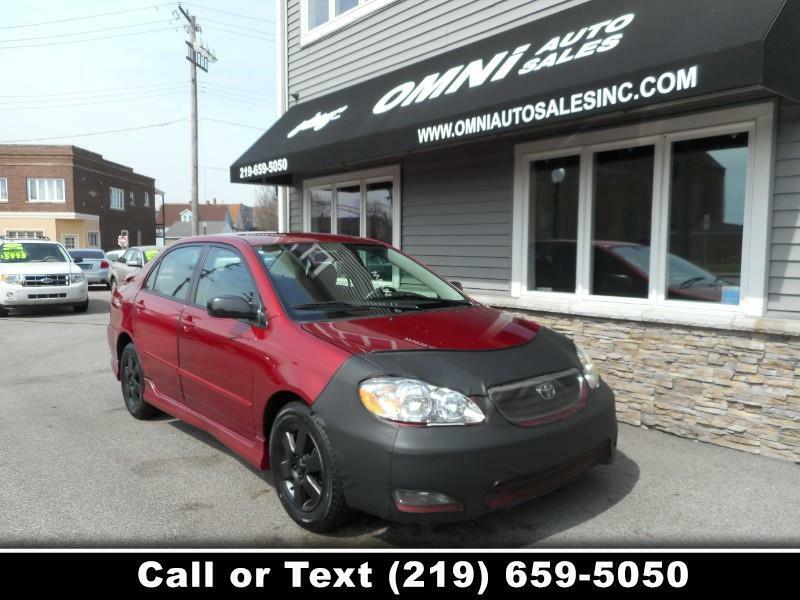 Our 2007 Corolla S is powered by a 1.8L 4-cylinder engine that brings excellent gas mileage with it! You will start saving money the moment you drive it off our lot! Fit and finish are also top-notch craftsmanship for which Toyota has become famous. Take a look at our photos! Our Corolla has 5-star crash safety ratings for its front passengers. Print this page and call us Now... We Know You Will Enjoy Your Test Drive Towards Ownership! We hand pick all our inventory to meet the needs of our customers. Omni Auto Sales offers monthly specials, call or come on down and talk to Bob or Pablo. Worry free shopping, out of state>>>>> No problem, here at Omni Auto Sales we pride ourselves in working with both local and long distance customers. We offer Free pick-ups from MIDWAY AIRPORT, Amtrak at Union Station and South Shore Railroad. We offer service contracts available on all vehicles $2000 or more. Sales Tax, Title, License Fee, Registration Fee, Dealer Documentary Fee, Finance Charges, Emission Testing Fees and Compliance Fees are additional to the advertised price.